The Los Angeles Times reports that “Spider-Man” producer Laura Ziskin said the fourth installment in the web-slinging superhero series is tentatively scheduled to arrive in May 2011. In remarks Thursday to theater owners from California and Nevada, Ziskin said there was no finished screenplay, but that she and Sony Pictures were hopeful “Spider-Man 4” could be ready in three years’ time. The first three movies comprise one of the most successful franchises in modern Hollywood history, grossing a combined $2.5 billion worldwide. 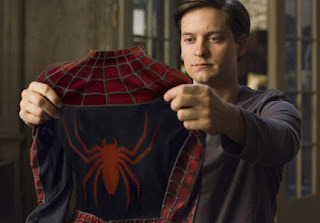 Neither star Tobey Maguire nor director Sam Raimi is yet committed to work on the next installment. But Sony has paid Marvel to renew its rights.